Mac Mini 2018 - Too Little, Too Late? If rumors are to be believed, our long wait is almost over. Apple seems set to announce an updated Mac Mini, with "pro" specs, this fall. But is it simply too little, too late? I have been holding out hope for an updated Mac Mini for some time. Ideally, it would run MacOS Server, hold our entire iTunes and Photos libraries, and act as an always-on home server in our basement "tech room". As the years went by, our plans shifted. We couldn't wait forever for that Mac Mini, so we went with a QNAP 4-bay NAS instead. The QNAP holds our iTunes library. Photos had to stay local to the iMac, because Apple warns of database corruption to Photos libraries on networked discs. The QNAP also acts as a Plex server, which has allowed us to make our Blu-Ray collection accessible on our Apple TV. It all works really, really well. Still.... I'll definitely admit that I'm intrigued by adding a Mac Mini to the mix. Especially given Apple's recent (and incredibly unpopular) announcement that MacOS Server was being re-imagined, with most of the hard-IT functionality stripped away. IF MacOS Server is going to exist post-2018, and IF it's going to be tailored to home/hobby users, then I'm probably the ideal market. I'd love to have a home server platform which would be the "family" equivalent of Apple's recent "School Manager" and "Business Manager" portal, which would manage profiles and coordinate device and Time Machine backups. 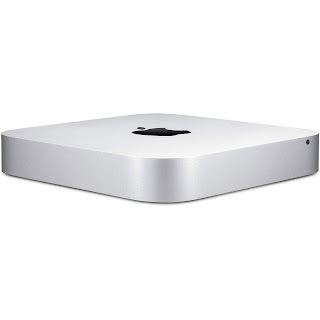 I'd connect the NAS to the Mac Mini as a local disk - just to make sure I have 10+ TB available - but the Mac Mini could handle Photos and iTunes natively. If Apple actually releases a "Pro" (or Pro-ish) version of the Mac Mini, I'm extremely hopeful that means "user upgradable". The last generation of the Mac Mini went to great lengths to restrict user upgrades - even soldering RAM in place. It was a betrayal of everything the company had originally stood for - the Apple 1 was user-assembled, for crying out loud. I'd expect the next-gen Mac Mini to be quite a bit smaller (not necessarily Apple TV size, but in that neighborhood), to use an SSD for onboard storage (with ports for simple external storage) and to have user-accessible RAM. I'm also expecting a bump in price - they can't hold the $500-600 range down forever. Just factoring in inflation, we're likely to see a push toward $1,000.... maybe $800 at the low end. Of course, this may all be a smokescreen. We've been waiting so long for a Mac Mini that it almost seems like an afterthought - an artifact from Apple's distant past. Frankly, I'd love it if the new Mac Mini and the new Mac Pro were the same device, a modular, wildly upgradable desktop PC, simply called the "Macintosh". In that case, you could buy the lowest-end Mac, and build it to the equivalent of a Mac Pro, by user-installed upgrades. THAT would create a generation of tinkerers, and would be in line with Apple's original thinking.